Home › Advice › Dashboard and helmet-mounted cameras: how do you choose the right one? Imagine this scenario: you are driving down Newton Road in Auckland in the left-hand lane and you are turning left into Piwakawaka Street. It’s drizzling lightly. You can see the map here (it opens in a new window). At the bottom of the hill there is a green arrow giving permission to turn left. You’re leaving a good gap to the car in front because it’s downhill and the road is wet. The car around 4-5 seconds in front of you is signalling left and turns left. There’s a line of traffic stopped in the right hand lane because they have a red light. Suddenly a driver pulls out from that lane in front of you and stops at the red light, despite continuing to indicating left. Obviously you have very little time to stop and you run into the back of that vehicle. Recounted like this it sounds like the vehicle that pulled out in front of you was in the wrong, correct? Maybe, or at least partly or mostly culpable. What about when the other driver lies to the police? How can you prove that the driver performed a dangerous manoeuvre in front of you? This happened to me. I was 19 years old. I almost managed to stop. It still did $150 damage to my Toyota Corona, but $1000 damage to the Holden Berlina I hit. The woman driving simply wanted to jump 3-4 cars ahead in the queue. It was cheaper for me to pay the full amount rather than claim on my insurance. The police sympathised with my side of the story, believing me over the other driver, and therefore didn’t give me a separate fine for failing to stop. However, the insurance company wouldn’t accept the story and had I claimed I would have lost my 60% no claims bonus. If I had had a dashboard camera, I could have proved who was wrong. Many of us are put in situations like this every day when another driver does something erratic, doesn’t see you, isn’t paying attention, or otherwise causes a dangerous situation that can result in an accident. In the UK the government is cracking down on whiplash injury fraud (so-called ‘crash-for-cash’) so cameras are becoming more popular. In Russia, it’s almost essential to have a camera in any vehicle, but especially heavy vehicles, as fraud and corruption is rife there. If you are looking at protecting yourself from this kind of fraud, you will be looking for an in-car DVR (digital video recorder), dash-cam, or a helmet-mounted video camera. They are now sold for very reasonable prices locally and you can get them via Amazon and other online retailers. Does the unit suit your vehicle? If you ride a motorbike, the camera will need to either be small enough to mount to your helmet without adding too much weight, or will need to be able to be mounted to the windshield or faring. You will need a camera which is self-contained and doesn’t need additional power. In a car or truck you can have a bigger camera and you can plug it into the cigarette lighter socket, although this does then mean a loose cable is in your cabin. Some units completely replace your rear view mirror, which could be difficult in a newer car where the rear view mirror is often integrated in a module with rain sensors and light sensors to control the wipers and lights. If you don’t want the hassle of having to install and remove it every time you go out, getting a fitted one is a good option. If you have one that is easily removable and you don’t remove it, you make your vehicle a target for thieves. Some units support a rear-facing camera, too. When mounted you need to check that the camera covers a wide enough angle. Most good cameras will give at least a 130-degree view. Look for image distortion on lenses that are very wide angle, e.g. 170 degrees. When the image is recorded, the higher the resolution, the more data is captured, and therefore the more you can zoom in on that image. This might be useful if you ever do need it as evidence as it could be the difference between getting a clear shot of an offender’s number plate, or a blurry or pixellated unreadable one. Higher resolution cameras will use more memory per second of footage. However, memory cards are quite cheap these days, and most units will take either a USB stick or a camera SD card. Some can stream data to your mobile phone. Some cameras will record until the memory is full, then you have to manually delete some files. Other cameras will record on a loop, replacing the oldest file with the newest file. In this case you would need to remember to download the video before it’s erased if you want to keep it. Other cameras will let you choose a loop length, e.g. 2 minutes or 6 minutes, and will write different files for each journey. Any camera should be able to record at least 720P (1280×720 pixels). If you want to go for full HD look for HD or 1080P, preferably at 25-30 frames per second. 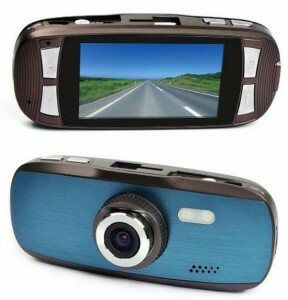 Most good cameras also support a still image mode, and some can be connected to a security system to automatically take photos if a person is detected near the vehicle. If you need to record at night then your camera must support low-light situations. Most cameras will adjust ISO and exposure compensation automatically, but it doesn’t mean they’ll record on a country road with no street lighting. Some cameras also have infra-red recording. You will need to be able to export your movie, so check that the format the camera records in is a format you are happy to store on your computer if necessary. More expensive units will come with GPS to prove you weren’t speeding, and g-force and motion sensors. A g-force sensor is useful if you have a fitted camera and you want to take a photo if something jolts your car, for example, someone running into it. Motion sensors can automatically activate the camera if someone comes near the vehicle. Sometimes an audio recording can be useful, especially if you are recording a road rage incident which might be slightly off-camera. Remember also that they can record admissions of guilt. On a motorbike wind noise may be an issue unless the microphone is well shielded. On a car the usual mounting place is the dashboard or windscreen. Higher up on the windscreen will give a better view. On a truck the mounting point should be chosen so that the area immediately in front of the truck is visible – bear in mind your camera will be higher up than a car. On a motorbike, you’ll either have a helmet mount, or will need a visor or faring mount. 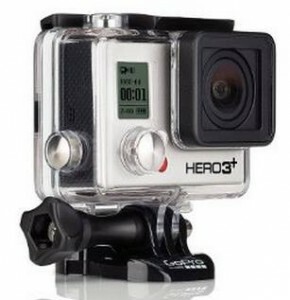 A smaller camera, for example a GoPro, might be a better option for convenience. Some units come with a mounting system, usually a suction mount, whereas with others, like the GoPro, you will need to purchase a separate mount that suits your needs. Will cameras eventually be standard in some vehicles? This might lead to calls of Big Brother, but some cars already have cameras installed. Subaru’s EyeSight technology is constantly using two cameras to record the image ahead and use it to detect potential obstacles. Honda’s Accord has a camera in the left wing mirror which is activated when you signal left. Some BMW, Range Rover and Lexus models have cameras on the front to help you nose out of intersections on busy streets. More and more vehicles now have a reversing camera. So, it wouldn’t take much to fit a recording device to any of these cameras and allow them to run continuously. When should you buy a camera? Two years ago we would have said to wait a little while unless it was absolutely necessary because camera technology and the number of models available was increasing rapidly. Now, the rate of improvement has slowed down and the technology is fairly mature. The main advance is in the size of memory cards and whether you can control the unit with an app on your phone, or stream the content wirelessly using Wi-Fi or Bluetooth to your phone. There’s no reason not to purchase one now. If you want to have a look at a wide range of cameras, start at Amazon’s main page – they’ll ship to New Zealand. 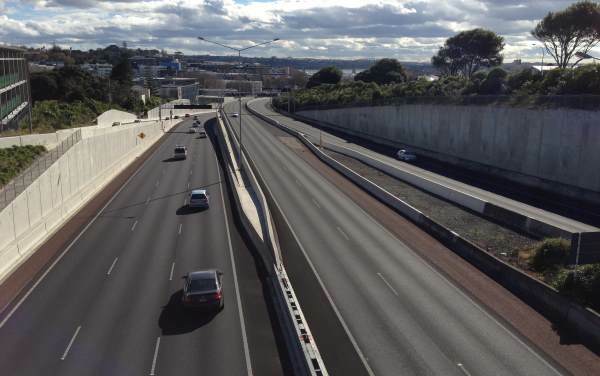 ‹ Why do motorways almost always pass under other roads? Why do motorways almost always pass under other roads?